Hey Jude, Don't Be So Obscure! 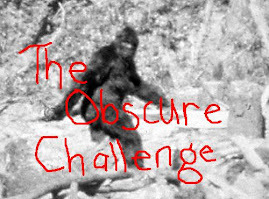 A challenge to read lesser-known books by well-known authors. If you're unsure what constitutes an obscure book, Google the author. If you see "Best known for books such as" and the book you have is listed, it doesn't qualify. Use your judgement. I'd say Pasternak's "The Last Summer" is in, while "Dr. Zhivago" is out. Maybe you'd disagree. There are no deadlines. There are no prizes, except perhaps improving your Jeopardy score. 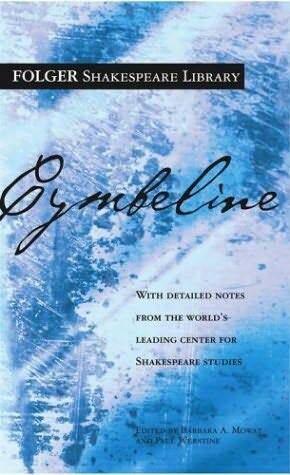 It took Charlotte's post over at Inklings about independent bookstores and her thoughts on eReader sales to remind me that I haven't reviewed Shakespeare's Cymbeline yet, though I finished it over a month ago. First, the eBook connection. For the most part I prefer reading real books. But when I'm traveling I'd rather go with a bunch loaded up on my Reader. (Though the first time I heard the flight attendant say "Can you please turn of your book? We're getting ready to descend?" I found it a little jarring.) Also, when my hard copy of The Complete Works of William Shakespeare weighs and takes up as much space as a couple of bricks, it's much easier to read it on the eReader. Though a word of advice to publishers, if it's in the public domain why not offer it as a free download? You might lose a small profit by having to pay someone to format it, but you don't have to pay an author. Give that away for free and you'll entice people like me to your site, I'll get that one and probably buy another book or two while I'm there, meaning you'll make money in the long run. My entire eVersion of the Complete Works of Sheakespeare by project Gutenberg is free. At the Sony eReader store they have a copy of the complete works for $7.99. Not bad, but why pay at all when I can get it for free? It's not it comes in a fine leather bound edition that'll look all fancy on my book shelf. It gets even worse when you buy the separate plays-- averaging about $4 each, or $148 dollars for the complete set. Again, it's not like a real book where you don't want the entire volume cramping your hand when you just want to read the Tempest. With the eVersion of the Complete Works doesn't make your eReader any heavier than a single play, and again, it's free. What idiots would pay for electronic Shakespeare books? What idiots would expect you to? Anyway, Cymbeline isn't one of Shakespeare's better known plays but I can't see any reason for that. For fans of Shakespeare, it's a very Shakespearean play. Love, betrayal, jealousy, disguises, royalty, a thirst for power. You know, the typical stuff. Based on legends of Celtic British royalty, it's a tough plot to summarize. For now, the Wikipedia synopsis will suffice. (It also helped me keep everyone straight.) One small annoyance: when Cymbeline's daughter runs away, disguises herself in drag and comes across her step-brothers, also in exile, and neither knows the other. We, the audience, are quite aware of the set-up and the scene could be rife with humour, awkwardness, anything. Unfortunately the situation is milked for all it's worth and comes across as silly and phony more than anything else. They bond right away and refer to one another as brothers, men, and so on. It should work, but it's run into the ground. But it's Shakespeare and at his worst, he's still entertaining. And Cymbeline is not is his worst. The fidelity bet alone is worth the price of admission. It's a soap opera moment, yes, but when it's surrounded by Shakespearean wit, that kind of stuff is not only tolerated, it's welcomed. But the Elizabethan English is intolerable. Even England couldn't tolerate it. They almost speak regular English now, and they are able to easily communicate with us Americans who do speak pure English. Excellent Working Dear Friend Nice Information Share all over the world i am really impress your work Stay Blessings On your Work...God Bless You.